Is there anything better than active, happy dogs during the holiday season? Just like kids, dogs love getting cute toys under the Christmas tree! For us dog owners though, it is sometimes tough finding amazing toys that not only make them light up at playtime, they are durable enough for months of play and keeping them mentally stimulated. Luckily, Petmate has a variety of awesome toys available for the holiday season that are perfect for helping dogs not just have a good time during the holidays, but help them stay active too! Below, are 5 of our favorite toys from their Holiday Gift Suggestions! Looking for a comfy bed with a classic design? If so, we think you will love the Aspet Pet Luxe Velevet Bed. 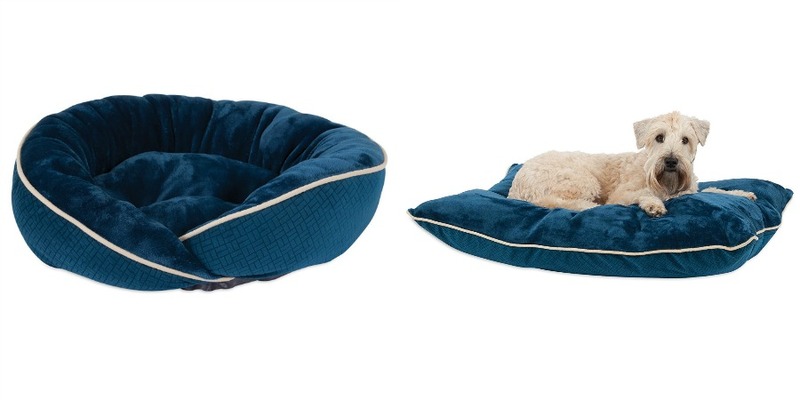 This velvet bed was just updated and has textured velvet that is not just soft and comfortable for dogs, it is visually interesting for pets and humans alike! As well, tufting adds a tailtored look and feel that goes perfect with just about any décor. Currently, there is a 27×36 Luxe Pillow Bed, and 21×19 Wrap Lounger available for only $29.99. If your dog loves to play fetch, the Chuckit! Sport LX Launchers System is an absolute must! This toy is designed for family play, having a lacrosse style basket that allows throwing and catching, while having a hands-free design to keep your hands slobber free. Each of the sets come with two launchers and a medium sized tennis ball. Currently this set is available for $19.99. Looking for fun toys that can hold a treat inside? If so, you will love the JW Holee Wobbler & JW Holee Egg. These toys have a center cavity that holds treats or squeaker ball inside that gets dogs excited. These Hol-ee toys wobble, bounce, or store things perfectly to offer a fun, interactive toy to keep pups busy during the holidays. Since they are made of durable rubber, you also don’t have to worry about them accidentally being destroyed on Christmas morning. 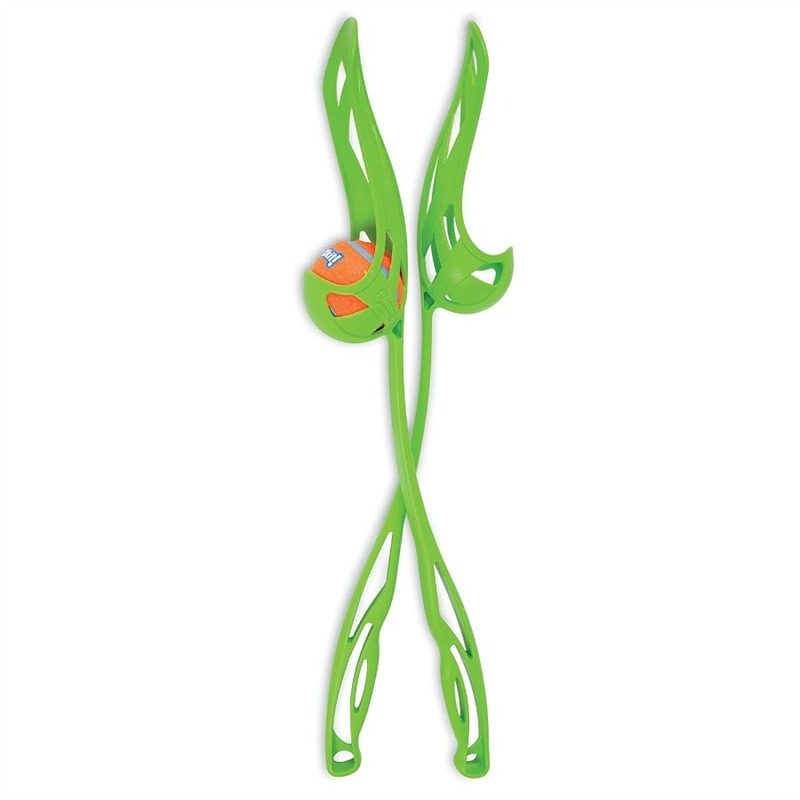 These toys are available in small or medium sizes in a variety of colors for $7.99 to $9.99. Want a toy with all the benefits of a ball but with added style? 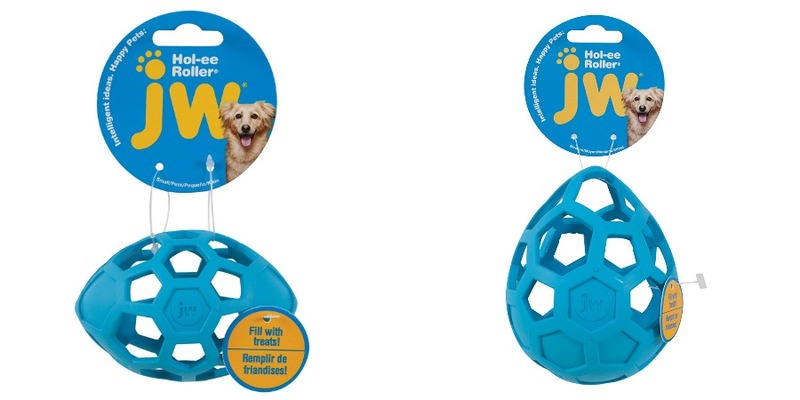 The JW Mixed Up Cuz are a one size fits all toy that is made from mixed materials.. By combining durable nylon with thermoplastic rubber, it creates a whole new toy that is durable and fun for dogs. Current there are three toys in this line in assorted colors – the JW Mixed Zig Zag Cuz, Jw Mixed Ying Yang, and JW Mixed Ribbed Cuz. All of the toys in this line are available for $9.99. If there is one style of toy that is and has been loved by every dog we have owned, it is the Heggies line. These fluffy hedgehogs have a fun grunting squeaker that drives our girls wild! Just in time for the holiday season, Zoobilee has released three new characters in this line – the Heggies Ornament, Heggies Elf, and Heggies Angel. Each of these toys are sized for any size of dog, making them a soft and cuddly companion. Of course, they have the classic grunt that has made Heggies a favored toy for dogs everywhere. Currently you can purchase the Zoobilee Holiday Heggies for only $9.99. Disclosure: Budget Earth did not receive monetary compensation but did receive products in exchange for this post. This post may have affiliate links. All opinions on this product are my own and may differ from our readers’ opinions. So my dog doesn’t like toys. (I know, what dog doesn’t like toys!). However, I do love that super fancy pet bed. She’d be living the life with that bed! I really like the Chuckit! Sport LX Launchers System. It would work great for my nephew’s dog. I think these are great for a fun and happy dog and I am sure that he or she will enjoy them. I would love to get him some launchers since it’s so hard for me to chase after him because of medical issues. He doesn’t catch and return, he catches and waits for us to get to him so he can run away. I’m sticking with the stuffed toys, he does play a little different with me because of my disabilities. He’s such a smart doggie. I love him to get exercise, he rests so much better at night when he does.